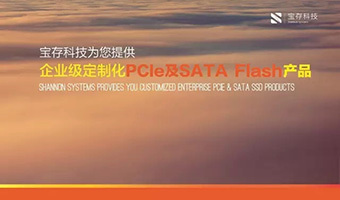 Mr. Zhou co-founded Shannon Systems in 2011 with Dr. Yang and as CTO, managed the development of enterprise-grade PCIe SSDs that were the industry’s first in terms of storage capacity and scalability, ultra-low latency and low-power envelope. Prior to Shannon, he was a senior ASIC design engineer with 10 years of experience at Nvidia and Chrontel. He holds an MS in Electrical Engineering from Binghamton University and a BS in Electrical Engineering from Tsinghua University in China. Mr. Yu joined Shannon Systems in 2014 and has been instrumental in managing its rapid sales growth. Previously and for over 10 years, he held sales leadership positions at Infineon and RF Micro Devices in China. He holds an MS in Management from the University of Ottawa and a BS in Electrical Engineering from Tsinghua University in China. 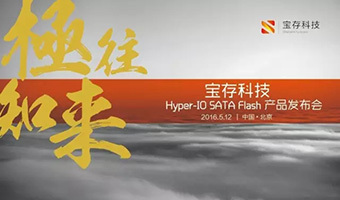 Shannon Systems is a leading supplier of enterprise-grade all-flash storage solutions, providing PCIe SSDs and storage arrays with superior performance and reliability to China’s largest internet, financial, telecom and utility providers. Shannon Systems develops the most reliable enterprise-grade, high performance PCIe SSDs and storage array solutions with scalable capacity and ultra-low power consumption. Leveraging Shannon Systems’ patented proprietary system design, we provide unparalleled capabilities for high-speed big data analytics and back-end database acceleration.